HR Professionals from around the world gathered at the AHRI National Convention last week to talk about the future of work. So many insightful presentations and eye-opening ideas. In some ways, it felt less like a conference and more like a call to arms. 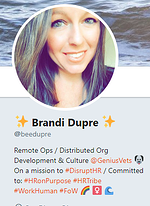 A single thread running through the sessions was the idea of repositioning HR - from a deer caught in the headlights of workplace transformation to a united professional body leading the way to better human-centered outcomes. But how does HR take on this leadership role? According to many of the presenters - it has a lot to do with what HR should stop doing. "What got us here, won't get us there". So what are the habits HR needs to break? Here's a round-up of the top 7, gleaned from presentations across the conference. In her persuasive keynote, Lynda Gratton asked us to drop the unhelpful and potentially damaging generational labels we insist on using. Sure, millennials may want "meaningful work" but so does everyone else. According to Professor Gratton, "age stereotyping is more endemic than gender stereotyping" - it can threaten diversity and lead to workplace inequality. HR needs to understand that 60 really is the new 40. People are working for longer and this requires a flexible approach to recruitment and retention. For example, if you're interviewing someone in their fifties and you see they've taken a year off - don't jump to negative conclusions. Gap years or "periods of recovery" are crucial, particularly when most of us will be working well into our 70s. Instead of leaning on stereotypes, Gratton believes that HR professionals should strive to change perceptions and should help CEOs to "build a narrative about the future of work." CHRO, Fiona Michel called for an end to 'HR-splaining' not only because it hinders communication but because it adds fuel to the fire of "Why we hate HR". To recast itself in a more positive light, HR should stop all the jargon and simplify the language used in contracts, policies and other types of communication. As an inspiring example of what's possible, Michel provided this visual leave policy created by the HR team at Aurecon. Other speakers were also on board with this keep-it-simple idea. In fact, some took an even more heretical stance asking HR to "burn the policies" and "break the rules'. In his keynote, Peter Cheese supported these radical ideas as way to "put the human back into human resources." Make your intranet a jargon-free zone. Use it to open a clear line of communication between leaders and employees. Leadership expert, Herminia Ibarra, told the story of how her early lecturing style was falling flat with students. A colleague suggested that she needed to 'work the room'. "But that's not me" she told him, feeling sick at the thought of performing - surely the content should stand on it's own? Her story illustrates the challenges that HR professionals are facing right now. "You are more likely to act your way into a new way of thinking than to think your way into a new way of acting." Dr Jason Fox, motivation design expert (and hilarious wizard-rogue), talked about the "rich pantomime of busyness" that governs so much of our working lives. Fox says it's this curse of efficiency that can prevent HR from thinking strategically or from making meaningful progress. For example, this might mean defaulting to the comfort of 'administrivia' - writing policies, shuffling emails or compiling reports that no one reads. Herminia Ibarra calls it the 'Competency Trap' - things that we're good at doing, so we keep doing them. According to Amantha Imber (Innovation Psychologist at Inventium), we should also stop multi-tasking. She explained that it is actually 'task switching' and it can cause things to take 40% longer. With your stopwatch on, write one word of Happy Birthday at the top of the page, then one number (counting backwards from 20) at the bottom - keep going until the song and numbers are complete. Now try it again but this time write the whole song, then write the numbers. Which takes longer? GreenOrbit is a intranet software that gets your people going and takes care of the 'busyness' around forms and policies, leaving you to focus on what matters. Another gem from Fiona Michel's presentation - she explained how important it is for HR to understand what's going on in the business as a whole. Take time to get out of corporate headquarters and sit with customer facing staff to better understand their particular challenges. Do the work, if possible, in order to 'feel' what it's like. It's also important for staff to see HR on the ground - not just during recruitment interviews or performance appraisals. Meant as a message for HR, it applies equally to anyone who wants to succeed in the modern workplace. Keep moving. Try new things, prototype and iterate. Lynda Gratton extolled the virtues of lifelong learning - particularly in the context of an aging workforce. HR professionals can apply this to their own careers and can create a context in which learning is fundamental part of employee engagement. The Hundred Year Life (living and working in an age of longevity) by Lynda Gratton and Andrew Scott. Peter Cheese also highlighted the importance of becoming certified and "respecting ourselves as a profession" - a crucial pathway to staying in touch with the latest issues. Be sure to register for next year's AHRINC (in sunny Brisbane) - because who knows what changes will be afoot by then! The world is moving at a breathtaking pace and this convention is a great way to catch up. What would you add to this list of don'ts? Feel free to expose your bad HR habits in the comments below. Go on - we won't judge. GreenOrbit (formerly Intranet DASHBOARD) was proud to be an event sponsor of 2018's AHRI National Convention. We look forward to seeing you all again next year! Unless you've been living under a corporate rock, you know that Employee Engagement is crucial to business success. Countless studies prove that it encourages innovation and increases productivity. It's also common knowledge that engaged employees deliver a positive customer experience and stand up as ambassadors for your employer brand. Most importantly, they drive profitable business growth. But Employee Engagement is a journey, not a destination - so it makes good sense to look for cost-effective ways to engage your people on the daily. Here are 15 low cost strategies to get you started. need to get the basic 'hygiene factors' sorted out. No, we're not talking about clean bathrooms (although these are super important). We're talking about the fundamentals of job satisfaction - things like pay, benefits, safe working conditions and job security. Without these, your employee engagement efforts are doomed to fail - no matter how many perks, bonuses or carrots you dangle. Give people the right conditions and access to the tools they'll need to get their work done. You don’t need to install a Google-style golf course to make a tangible impact on employee engagement in your workplace. Focus on the small but effective wins. 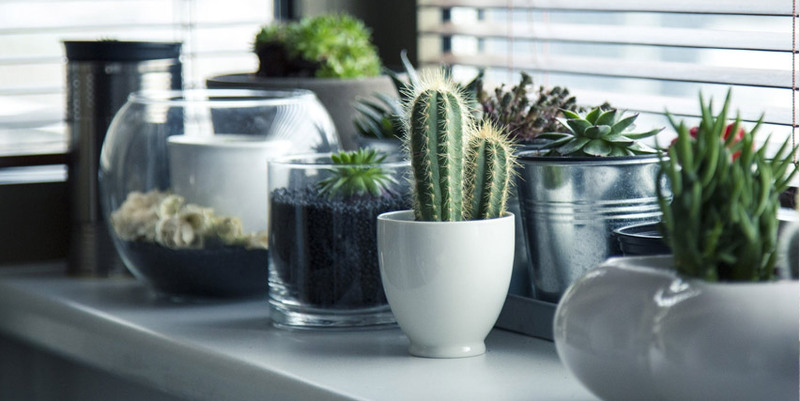 Common indoor plants are 'feel-good factories' that can calm stress and boost mood. According to NASA, they also filter the harmful toxins that plague our synthetic-filled offices. A recent study by the American Society of Interior Designers showed that 68% of employees are dissatisfied with the lighting at work - too dim and it strains the eyes, too harsh and it causes headaches and fatigue. So unless you're working for Vampires Inc - it's worth assessing the lighting in your office to see if you could make use of task lamps and dimmer switches or improve access to natural light. As far as other essentials go, never underestimate the miraculous power of good coffee and healthy snacks. In an ideal world, engaged employees work for more than just a pay cheque - they work to achieve your organisation's mission.Using the tools you have at hand, you can make sure that people understand the mission and feel connected to it. Make your values visible - on your website, your company intranet, on the walls of your building, everywhere! Regularly talk about these values in meetings and CEO addresses, and how new projects and tasks will serve to uphold them. Transparency isn’t just good ethics - it’s good business. Research shows that organizational transparency is the highest determining factor of employee happiness. So, it’s time to start sharing! Open communication between management and employees establishes a relationship built on trust. And when there is trust - there is an emotional commitment to the company. Encourage regular communication from your CEO, whether it be a weekly internal blog post or a news article. Share stories of what’s happened around the business that week, particularly within upper management, and tie it back to your organizational mission. Host a quarterly company-wide meeting to discuss upcoming developments, departmental updates, strategic objectives and initiatives, and financial performance. It can be difficult to ‘switch off’, and many of us take home some of the feelings we experience at work. Essentially, the happier our work experience is, the happier we are. One of the most powerful determinants of employee happiness is simply being thanked. And what are the other effects of leaders acknowledging staff’s efforts? So, how can you start saying thanks? In meetings, verbally thank employees that contribute strong ideas or that actively demonstrate your core company values. For exemplary work, send a thank you email to the employee and CC a relevant manager or leader. If you have an Enterprise Social Network or intranet, give the employee a ‘shout out’ in the appropriate forum. 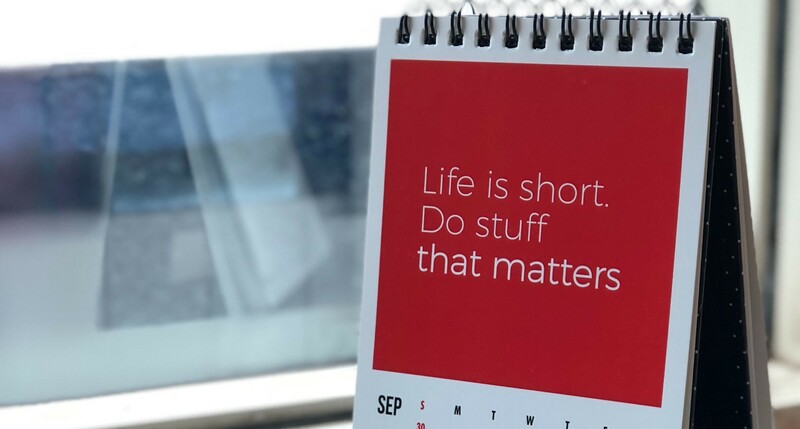 Disengaged employees adopt the mindset that “What I say doesn’t matter." In contrast, an engaged employee contributes their ideas, and is confident that they will be heard respectfully. When employees give feedback, it shows that they truly care about the direction of the project or organization. In meetings, leaders should encourage two-way communication. Ask questions and show that you value the input of others. Where appropriate, action suggestions and credit the contributing staff member. A well-designed intranet is another fantastic way to enable communication across all corners of your business and to help employees find their voice. To encourage adoption, set clear guidelines around which conversations should happen where and what kind of content is appropriate. Have senior staff lead by example via regular contributions and to respond to posts where appropriate - remember, there’s only value in staff voicing their ideas if you’re actually listening. Encouraging staff to connect with their colleagues by offering communal spaces, team lunches and outside of work activities. Forming a team to enter a fundraising event or a social sporting competition to help personal connections flourish. Assigning a mentor or 'buddy' to each new starter - a great way to build relationships and share knowledge. The data further confirmed that when employees participate in corporate charity, 78 percent of employees express support for their company values. To get started, you might enter a team in a fun-run, hold a fundraising event, or volunteer at a local shelter. With 6.7 percent of US adults having at least one period of severe depression per year, a 2003 study by Stewart, et al found that mental illness costs business approximately $225 billion annually. Those battling the black dog are likely to struggle to feel passionate about their work or perform at their best. Any mental health initiative must be authentic to be successful. People can sense insincerity from a mile away, so don’t offer to help if you have no intention of following through. Instead, put tangible measures in place to support your staff. Run an anxiety management or mindfulness workshop. Embrace initiatives such as World Mental Health Day and direct employees to who they can talk to for help. For those that are suffering - work with them to put a plan in place, including provisions for time off to attend counselling/treatment. Encourage employees to keep an eye out for each other, and reward those that demonstrate camaraderie. The ROI of investing in the health of your staff can be seen beyond just employee engagement levels. Harvard Business Review found that, on average, employers who invested in health and wellness initiatives reaped $6 in healthcare savings for every dollar invested. For employees, wellness initiatives such as office yoga classes, gym membership deals or step challenges, are both enjoyable and beneficial for their overall health.It shows that you care about staff wellbeing, - and makes people feel supported and appreciated. Embracing gender, cultural and LGBT diversity within the workplace is key to creating a vibrant, innovative workforce that can tend to a broad range of customers’ needs. In fact, businesses that operate in an inclusive culture outperform others by an incredible 80 percent. Incorporate diversity into your key business values, and promote this internally and externally. Your company intranet is a great place to share this. Celebrate initiatives such as Multicultural Diversity Day. At GreenOrbit, we got in the spirit by each bringing a traditional dish to share with each other at lunch! At work events, such as your end of year celebrations, encourage staff to bring their partners and families. Too often, incentives are used as a Band-Aid solution for employee engagement. Having read this far through the article, you’ll now know that employee engagement is a complex beast. While these initiatives undoubtedly have their time and place, they form a piece of a much larger puzzle. Rewards should be reserved for engaged employees who exceed performance expectations. Rewards should be reserved for engaged employees who exceed performance expectations, rather than as merely an incentive for under-performing staff to get their act together. Everybody loves cash, but there are plenty of ‘money can’t buy’ rewards that will truly excite and engage your team. Lunch with the CEO: This provides a rare opportunity for the employee to network with a senior leader and share their ideas and thoughts. On the flipside, your CEO gets to connect with staff they might not know well, and gain insight to the business from another perspective. The premier parking spot: Let the high-performing employee park in the best parking spot for a week. Jeff suggests even placing a small sign with their name on it to make it ‘official’ and to really highlight your appreciation. Free team lunch: Let your employee choose where they’d like to go, and bring their workmates along with them. They will get to enjoy their favourite food and connect with their team in a relaxed setting, strengthening their relationships. In fact, 64% of employees would choose a lower paying job if they could work away from the office just 1 day a week. Because balancing work and life is hard. By offering flexible hours, people are able to work when and where they feel most productive. They can easier balance family commitments and other passions while they work, alleviating stress to increase their quality of life. Investing in the education of your staff is crucial to helping them grow and develop. In turn, your business will reap the rewards of their new-found skills. One of the easiest ways to educate your team is to provide online training, allowing staff to complete learning in their own time, while it’s both easier and more affordable for managers to create. If running courses internally is not an option, there’s plethora of free online qualifications that staff can complete. Gather a team and schedule a meeting each week to work through the course together. The LinkedIn Global Job Seeker Trends Report states that the number one reason employees leave jobs is due to a lack of career progression opportunities - and the top draw card for a new role is the ability to progress their career. As discussed above, education plays a big part in this and is a great first step to building skillsets and experience. Commit to annual performance reviews and quarterly informal catch ups to provide feedback and direction to employees - ask them where they’d like to progress in their career, and define a pathway with KPIs to help guide them there. A great way to encourage staff to adopt a long-term vision is to highlight the stories of those that have forged a successful path within your business. This might be in the form of networking events, as part of a podcast or a video series on your staff intranet. 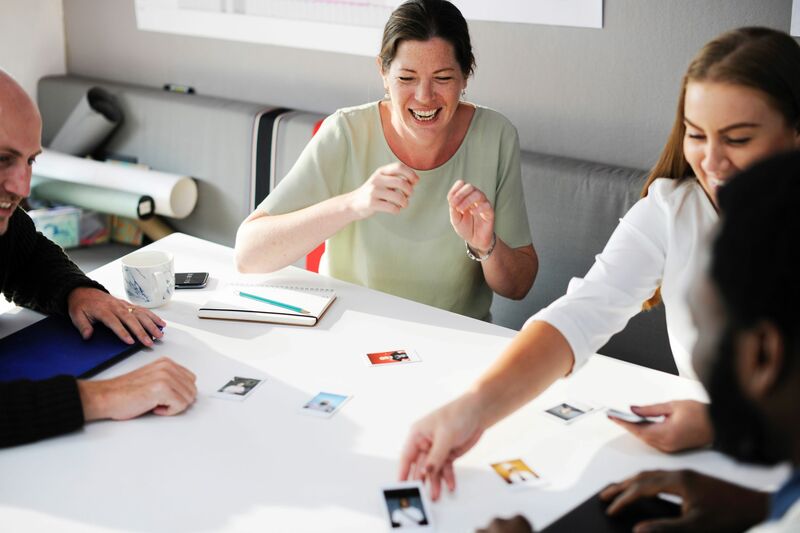 When it comes to employee engagement, the results speak for themselves; productivity and profitability rise, while turnover and absenteeism decreases. A commitment to employee engagement really is a commitment to success. Remember, seeing and treating your employees as a collective group of humans is the first and most important step. 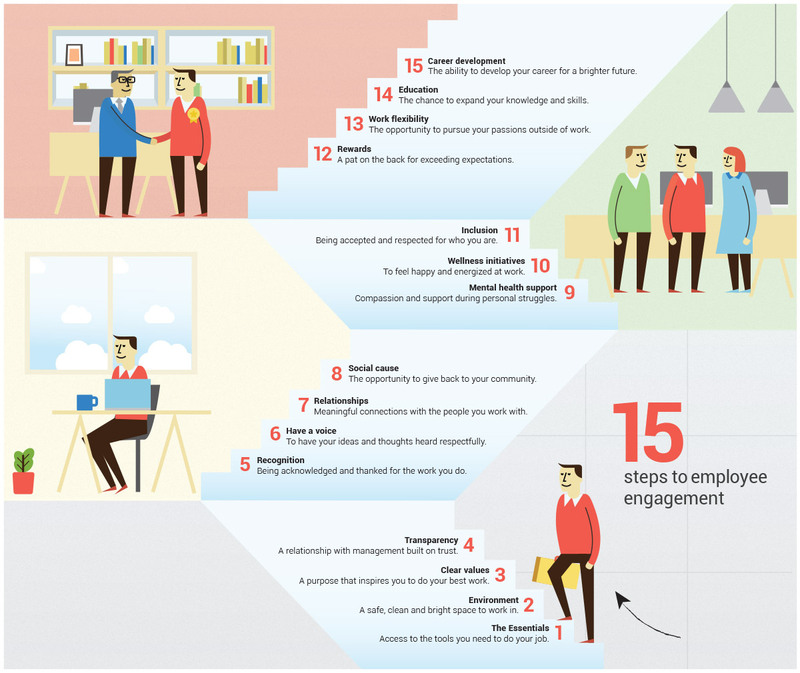 From there, wholeheartedly and consistently practising these 15 tips will ingrain employee engagement in your culture. Search on the term ‘Employee Engagement’ and Google will serve up over 224 million results - a mind-boggling collection of strategies, statistics, trends and expert advice. If you’re trying to get your head around the concept, it’s a lot to take in. Maybe you’re even a little skeptical about the whole Employee Engagement thing – wondering if it’s a passing fad. Or maybe you're on board with the idea but don’t know where to start. The following lessons will lead you through the labyrinth, pointing out useful resources along the way. Lesson 1. What is Employee Engagement? Like the proverbial onion, ‘Employee Engagement’ has many layers. For senior executives it has to do with culture, values and competitive edge. For managers, it’s about building trust, facilitating relationships, recognizing accomplishments and empowering people to do their best work. For individuals, engagement is wrapped-up in the neuroscience of motivation, well-being and happiness. It’s about being switched-on, proactive, enthusiastic, involved and driven by a sense of purpose. “Employee engagement is a workplace approach designed to ensure that employees are committed to their organization’s goals and values, motivated to contribute to organizational success, and are able at the same time to enhance their own sense of well-being." "Encouraging people to bring their best selves to work." If you want to up-the-ante on Employee Engagement in your organization, you’ll need to create a definition that suits your unique challenges and goals – think of it as an Employee Engagement mission statement. To make sure you’re using the right terminology, it helps to understand how Employee Engagement differs from other closely-related concepts. For example, it's more than Job Satisfaction which tends to be measure of how employees feel about ‘hygiene factors’ such as pay, hours and flexible working conditions. It intersects with, but is separate from, Employee Experience – a fairly new approach that involves tracking the employee journey and creating an environment that encourages people to do their best work. Also, most experts agree that Employee Engagement it is not about ping-pong tables, free muffins or dog-friendly offices (though I don’t see how these could hurt). Why has it taken us this long to realize that a highly motivated workforce is central to success? Somewhere along the line we lost sight of humans and decided to focus on Gantt charts, performance metrics and sales funnels instead. But the tide is well and truly turning. Leaders are looking up from their spreadsheets and beginning to understand that people are at the centre of business success – both as customers and as employees. Need evidence that Employee Engagement is trending? Last year, the annual Employee Engagement Awards ceremony was held in London's Wembley Stadium (think Beyoncé and FA Cup). It sold out. Disruption - Uber and Airbnb proved that you could change the world with a great idea and a small team of committed innovators. To compete, the big players need to leverage the creativity and enthusiasm of their people and innovate from the ground up. 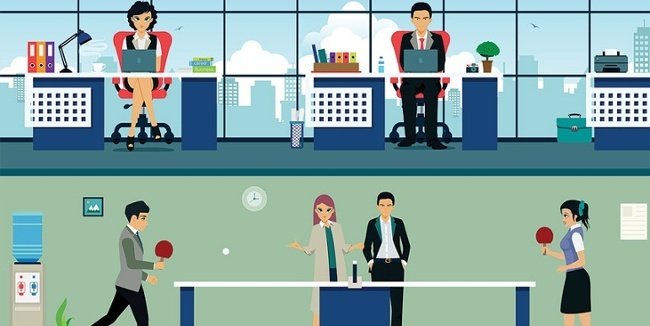 Blended Workforce - Different ages, genders, cultures - including a mix of part timers, contractors and remote workers - has made it increasingly difficult to unite and engage employees. Also, many employees (especially those pesky millennials) are beginning to place a higher value on learning, growth and sense of purpose. Sobering Statistics – From around 2006, Gallup began reporting on the crisis in Employee Engagement. They found (and continue to find) that 85% of employees are disengaged and that this has a catastrophic effect on productivity and profitability. Economics - Falling levels of unemployment and a changing economic landscape have made it increasingly difficult to attract and retain talent. Lesson 4. Who is responsible for Employee Engagement? Building an engaged workforce takes a lot of effort. Senior Executives need to create a transparent and intentionally-designed culture where employees can easily see the connection between their day-to-day tasks and the vision and aims of the organization. 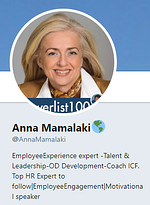 HR Specialists also have a crucial role to play (many of the websites and white papers dedicated to Employee Engagement have been written by HR consultants). As the custodians of hiring, onboarding and compliance – they are uniquely positioned to introduce and champion Employee Engagement strategies within an organization. Internal Communication departments are also key to successful Employee Engagement programs. Getting everyone on the same page via a thriving intranet and making sure that communication runs freely between employers and employees. Current thinking also suggests that we, as individuals, need to take responsibility for our own engagement – understanding what motivates and inspires us and taking the steps to make it happen. So, we are beginning to understand how and why Employee Engagement has captured the corporate imagination. But how does Employee Engagement feel? The psychology of human motivation is complex and widely studied – but it’s worth getting familiar with these leading theories. 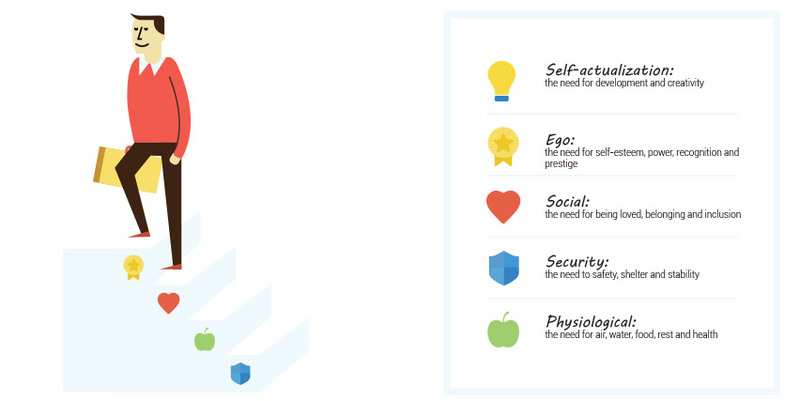 In this scenario, basic needs must be met before employees can reach their full potential. A state described by the psychologist Mihaly Csikszentmihalyi back in 1990. Think about the last time you were truly engaged in an activity – work or otherwise. A time when you were totally absorbed – in the zone. When time passed unnoticed and hunger pains went ignored. When your brain was firing on all cylinders and a clear goal was in sight. Felt pretty good, didn’t it? This kind of discretionary effort and intrinsic motivation is at the heart of Employee Engagement. 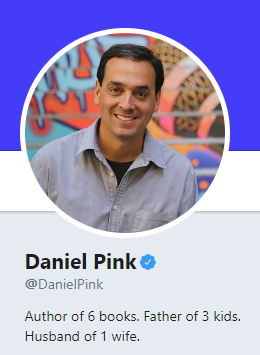 In his paradigm-shattering book, Daniel Pink ignited the discussion around Employee Engagement by suggesting that humans are not motivated by rewards like money. The theories are great but how can individuals or organizations put them into practice? Take an individualized approach to on-boarding. Ask new hires to articulate their personal view of Employee Engagement – what is unique about you that leads to your happiest times and best performance at work? Let employees invent alternative job titles to describe their unique values, identities and talents. For example, at the Make-A-Wish foundation, the CEO is known as “Fairy Godmother of Wishes” while the administration assistant is “Goddess of Greetings”. 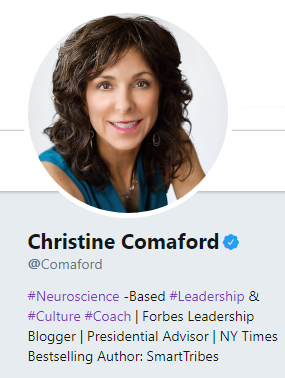 Adopt the Cultural GAME Plan as described by Christine Comaford - (a template for Growth, Appreciation, Measurement and Engagement). Run regular Employee Engagement surveys and be sure to act on the results – people soon become cynical when their carefully- considered feedback disappears into a black hole. Employ mentors to guide employees along their career paths. Provide a centralized digital workspace and social network where employees can absorb the culture, build relationships and keep up to date with the latest developments. Lesson 7. Who is getting it right? Facebook – “Good work-life balance and flexibility” “An AMPLE amount of free food”. Bain & Company - "High impact on businesses worldwide, extremely steep learning curve, supportive environment and colleagues you are proud to work with"
Boston Consulting Group - "Great opportunities to grow and shape your career"
Google – “Free food and baristas in every building" “Amazing people, great benefits, interesting work and opportunities galore”. Anglian Water - "With a clear direction from the top and a friendly working environment." Facebook - "Empowered and Emotionally intelligent engineers." Salesforce - "I really like the 1-1-1 model that allows us to volunteer up to 7 days per year." Lookers – “They hire the right people, who are friendly and very proactive”. Bad reviews on sites like Glassdoor can be a red flag to new talent and can also put off prospective customers. Poorly treated employees often take their negativity into new positions or onto social media – word travels fast. Research shows that disengaged employees take more sick days and are less productive. Being actively disengaged can lead to physical and mental health problems – Gallup reports that an alarming 54% of disengaged employees say that work stress caused them to behave poorly with friends or family members. What technologies are available to support Employee Engagement? Online Surveys – these can be used to ‘take the pulse’ of employee sentiment at regular intervals or gather more in-depth feedback over time. You can create your own or choose from a wide range of off-the-shelf offerings like Culture Amp or TinyPulse. Data Analysis Tools - often, companies do an annual survey and the results (particularly the free form answers) languish in a spreadsheet somewhere. These are the words used by your employees and it's vitally important to "listen" to what this data is telling you. Tools like Interpris can help you organize and make sense of this crucial feedback. Performance Management Software - helps you to set employee goals, manage one-on-one meetings (aka performance reviews), and give real-time feedback. Again, there is swag of tools to choose from – crewmojo, Bridge Performance Management and Cognology just to name a few. Digital Workspace solutions – these are Intranets or digital workspaces that bring your people, documents and conversations together in a centralized platform. You can choose from a full-blown customizable solution like SharePoint or with an offering like GreenOrbit with everything you need, built in. Use Twitter to keep track of the latest thinking around #EmployeeEngagement. The concept of Employee Engagement, as workplace approach and cultural revolution, is evolving as we speak. Hopefully, this crash course gives you a firm foundation for further exploration and inspires you to learn more. What's your take on Employee Engagement? Where are you in the journey to workplace enlightenment? Any articles, tools or influencers you would add to the mix? Drop us a line in the comments below. In the recent Gallup State of the American Workplace Report it found that from 2012 to 2016, the number of employed Americans working remotely –at least some of the time- grew from 39% to 43%. This number is set to continue to rise, and employees already working remotely will spend more time doing so. The appeal of flexible work is fairly obvious, particularly for those battling long commutes, raising a family, or managing a chronic illness. Your team might work on the ground or be travelling regularly. Heck, maybe you just feel that you could produce a higher standard of work today while you wear your pyjamas on the couch. The reasons for seeking remote work are varied, and research supports that the outcomes can be positive for both employees and employers. In fact, Boston College research reports that 64% of employees would choose a lower paying job if they could work away from the office just one day a week. So, not only could offering remote work options increase the productivity and performance of your team, but it could help attract exceptional talent to come and work for you in the first place. Sounds like something worth considering, right? Before you go ahead and cancel the lease on your office building, you’re obviously going to need the right digital tools in place to support your remote team. One of the most critical will be your company intranet, not only in its functionality but how you leverage it to engage employees. For all of remote working’s benefits, keeping staff engaged, connected and collaborative is difficult without physical interaction. Fortunately, your intranet is where you can bridge the gap. User Profiles can do so much more than placing a face to a name. Staff need not share their life stories, but think about the important stuff- areas of expertise, qualifications, strengths and the like. Without meeting, a remote worker should be able to view a User Profile and understand what that person does, and what they could bring to a project. Now that your User Profiles actually mean something, you’ll need a killer staff directory to make them findable. With GreenOrbit, by applying metadata to your profile, this information then becomes searchable across the intranet. For example, you could simply search the word ‘French’ to find a French speaker to interpret something for you. This makes it easy for remote workers to find topic experts and initiate collaboration, no matter where they might be located. The mobile team at RSPCA do a fantastic job at this; regularly posting articles to their intranet sharing stories and photos of their animal rescues. In turn, they are keeping remote staff in the loop, while reinforcing and celebrating their team culture. Great job guys! Business-wide collaboration is great, but remote workers also need to collaborate within their team. Functionality such as Private Groups provides a place for teams to communicate, file-share and come together- even when they’re apart. If your forms and processes are paper-based, remote workers are going to have a rough time completing them. They’ll either have to navigate a scanner or send it to you in the post, both of which are slow and completely infuriating. Instead, comprehensive online forms will allow them to submit forms quickly, easily and accurately. You might be unable to give your remote co-workers a physical high-five, but social intranet tools can provide the digital equivalent. Using a tool such as GreenOrbit #Channels, you can acknowledge the contributions of remote workers for your entire organization to see. At GreenOrbit, we share #StaffShoutouts internally to celebrate exceptional work. Through likes and comments, the ‘applause’ can be heard wherever we are. A remote or mobile worker should experience the same training and education as their office-based colleagues. Providing comprehensive training modules with workflow through your intranet means staff can become experts in a new program, sales strategy, or safety process wherever they may be located. Video conferencing is as close as dispersed teams can get to chatting face-to-face. When conferencing isn’t possible, record important presentations or events and store them on your intranet to allow remote employees to be a fly-on-the-wall. Within our own team at GreenOrbit, we have a number of remote workers whose lifeline is the intranet. Essentially, it’s where they ‘go to work’ and can interact with colleagues on a professional and personal level. One of our remote employees is a regular contributor to our #Photography channel, sharing his work as a moonlight events photographer. From this, we instantly knew he would be the perfect person to work with our marketing team and photograph the SuperFoiler Grand Prix. He had the opportunity to travel around the country pursuing his passion, while the marketing team had access to exceptional event photos - a fantastic outcome for both parties. As the number of remote workers grows, so too do the expectations of the remote work experience. By implementing these tips and leveraging your intranet as a digital workplace, you’ll be able to attract and retain the best remote employees for your business. The wellbeing of a business is determined by the wellbeing of its staff. In order to make a positive profit, your team need to feel positive about their work. Dale Carnegie Training found that “companies with engaged employees outperform those without by up to 202%.” Sounds like something worth addressing, right? However, changing the way your team feels about work requires more than table tennis or soft drinks in the fridge. It’s about transforming the entire workforce experience. What is workforce experience and why is it important? 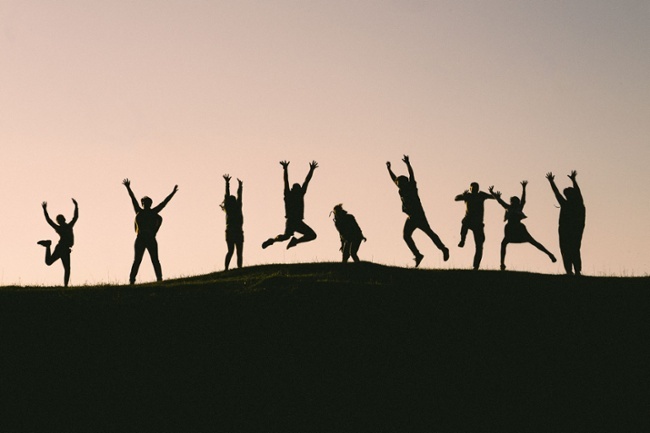 Employee experience is the way employees feel at and about their work; the wellbeing and the health and cooperation of the team as a whole is workforce experience. A positive workforce experience is when you have engaged staff with an emotional commitment to tasks and achieving targets, and consequently the foundation for smarter, faster, better business. Mobile intranet access is now an absolute game changer in managing employee experience. Being able to access work from a client meeting, airport lounge or home, means employees are able to do work when they need to, or feel most inspired, mobility is something that employees categorically seek and expect as part of their workplace experience. Deloitte found that Enterprise Social Networks generate more than just chit-chat, stating “organizations that rolled out social media tools found a 20% increase in employee satisfaction.” Enterprise Social Networks, encourage dialogue among team members and this leads to a more open communication and a happier team. Social platforms foster these social connections and in doing so build meaningful relationships and positive team culture. Every employee wishes that annoying paper based forms are a thing of the past. Employees want to be able to do all their administration tasks via an intranet – a central digital workplace – where less spent trawling through files, and folders and documents, and more time is spent accomplishing targets. In addition to this, the cost savings on paper, printing, and time will even make management smile. Employees may feel that they can make a real, tangible difference to their workplace but they may not have a voice or a vehicle for sharing their voice. A social intranet is a space for staff of all levels to contribute their ideas and visions. Your team will grow in confidence and feel that their input is valued. They might even come up with your next big idea! It’s important that staff know their efforts are appreciated. Team members on all levels need to feel as though they’re a part of the bigger picture. An intranet allows for recognition processes to celebrate and encourage staff achievements. Not only will a pat on the back give employees that warm fuzzy feeling, it gives others something to strive for. So even though table tennis and pool tables at work could be fun… their ability to engage, innovate, and nurture your workforce is questionable. Would you like your team to smile more whilst at work? If you want to make real changes to the way your team feels about work, then we'd love to show you how GreenOrbit can help.